The clubhouse sits on a high point in the middle of the valley and from here you can clearly see the many elevation changes as you traverse the valley and back home. You had better be proficient at playing from sloping lies otherwise it’s going to be a long day! 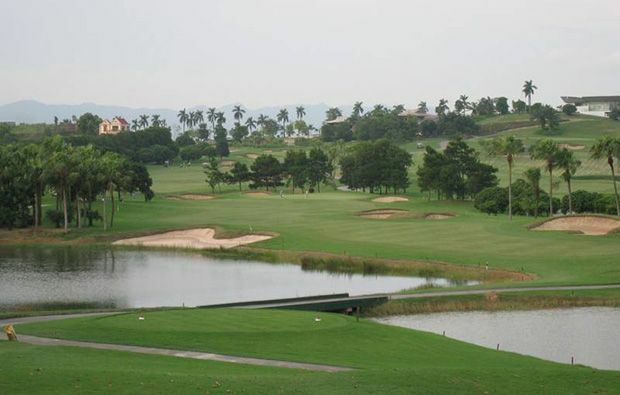 The course is dominated by the large natural lake and this is a factor on many of the holes and several of the greens are partially surrounded by water which makes the approach quite daunting. 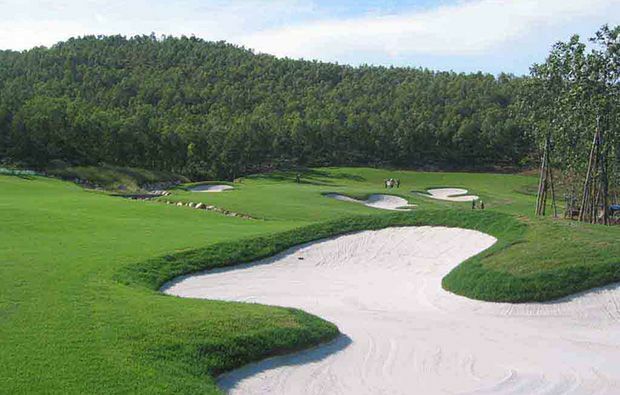 The course demands long drives and excellent placement of the ball to negotiate the many bunkers, water hazards and dog-legs. For example on the par-4 2nd you are faced with a long carry over water which puts club selection at a premium and on the very next hole water lies in wait all along the left side of the fairway. Another interesting hole is the 5th which is a par 5 with steeply sloping fairways and a large lake protecting the left side. As you arrive on the final hole dreaming of a cold beer you had better keep your wits about you as you will be faced with a 680 yards uphill par 5. Even during bad weather the course usually remains in great condition and the caddies are usually very friendly and competent and you will need their help to successfully negotiate the contours of the green. The greens are grassed with Tiff Eagle quick ensure that they are fast and true and the tee boxes are in perfect condition. The rough can get quite long at certain times of the year so keep on the fairway if you can. The club house is comfortably furnished with great Food. 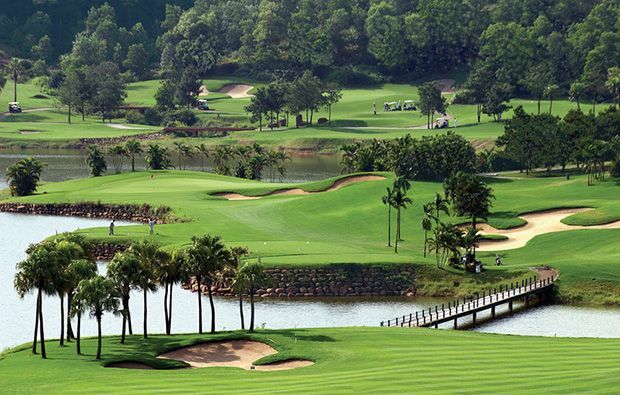 This courses is very popular with local Hanoi golfers, especially at the weekends so its better to book your tee time as far in advance as is possible. 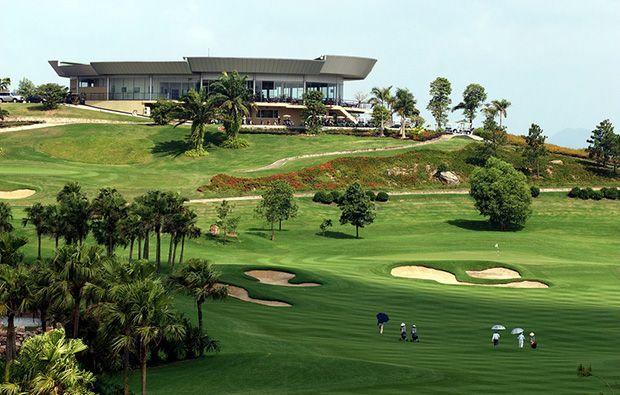 Chi Linh Star Golf Club has different Services to offer. Choose a date and number or players to see the rates.